She Was Shopping At Target When She Realized She Was In Labor…And It Was Too Late To Move! Tanya St. Preux was just out for a normal shopping trip to Target when things took a shocking turn. She was pregnant, but never in a million years thought that she might just end up having a baby while out picking up a few items! When St. Preux went into active labor, she knew that there was not much she could do but prepare for what was about to happen. Fortunately for her, Caris Lockwood happened to be shopping at that same store. 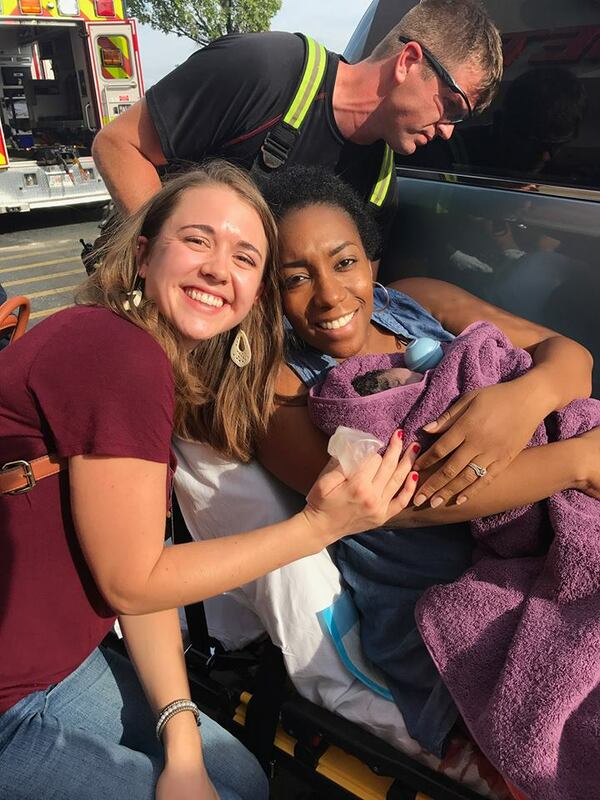 Lockwood is a labor and delivery nurse at Piedmont Atlanta Hospital and was definitely in the right place at the right time! Lockwood took over the situation and a few Target employees even jumped in to help out! Lockwood delivered the baby in hectic circumstances, but the 7-pound, 10-ounce baby boy right at the entrance of the store. Emergency personnel were able to help get the mother and baby safely to the hospital for examinations and recovery, but St. Preux knew that it just wouldn’t have been as smooth if Lockwood hadn’t been there to oversee it all. Caris was God-sent and amazing. She was sweet and caring and exceeded everyone’s expectations. She went way over far and beyond,” St. Preux said. And now her new son will have an incredible story to tell for the rest of his life!